Kevin Spacey is being investigated by the Metropolitan Police over a third allegation of sexual assault. A third man has come forward with an accusation of sexual assault that took place in Westminster in 2005, when Spacey was artistic director of the Old Vic. Scotland Yard did not directly link Spacey with the new allegation, however a spokesman confirmed that the man being investigated is also the subject of two earlier complaints of sexual assault, which were widely reported as being Spacey. A Met Police spokesman said: “On 1 November City of London Police referred an allegation of sexual assault to the Metropolitan Police Service. “On 17 November we received allegations that the same man sexually assaulted a man (Victim 2) in 2005 in Lambeth. “On 13 December we received an allegation that the man sexually assaulted a man (Victim 3) in 2005 in Westminster. 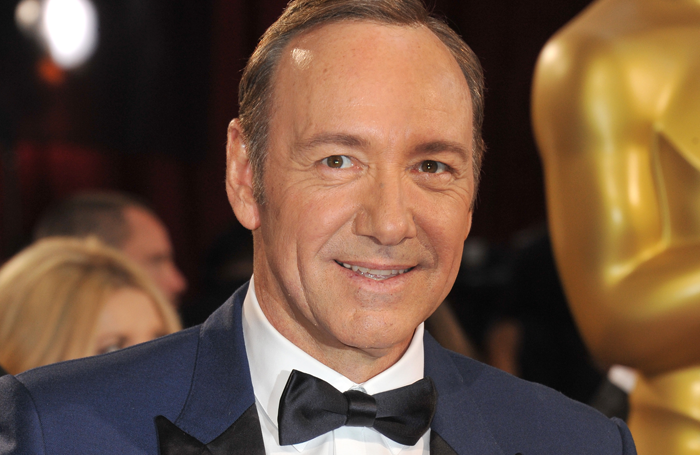 Spacey was artistic director of the Old Vic between 2004 and 2015. The Stage has contacted Spacey’s representatives for comment.